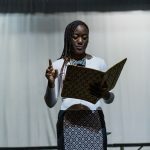 As an educator, she shared her knowledge without reservation; as a choir director, she poured her passion into her young charges; and as a patriot, she diligently cultivated a sense of community and allegiance to good citizenship. 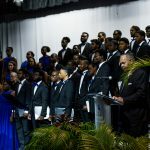 These are the characteristics that proponents of the arts and the University community celebrated at the Memorial Concert that was held at the University of The Bahamas (UB) Performing Arts Centre on Thursday, 31st January. The concert was a musical cornucopia that paid homage to Mrs. Dean-Wright’s indomitable spirit, selfless service and exceptional creativity. It was also where UB President Dr. Rodney D. Smith announced the establishment of the Audrey F. Dean Wright Visual and Performing Arts Endowment for the Arts. Initial funding raised already totals approximately $20,000. A foundation named in honour of Mrs. Dean-Wright will also be established to support undergraduate tertiary education in the arts for Bahamian students at UB; to facilitate the exchange of scholarly information; support the construction of an arts museum complex at the University and expand the UB Arts Immersion Programme. “This memorial endowment for the arts will touch both Communications & Creative Arts and the School of Education, where Mrs. Wright’s passion and life’s work flourished through both music and poetry. Tonight, you have the opportunity to assure that this endowment, named in Audrey’s memory, grows and continues to flourish,” President Smith said. He also paid homage to her legacy and impact on the UB community. 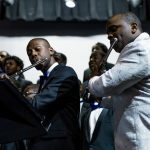 “There is not one music student who studied under Mrs. Dean-Wright, who has not been enriched by her profound knowledge of music, her professionalism and high standards and her love for performance. The UB Concert Choir flourished under her leadership, and has become nationally renowned, because of the time, effort and dedication she gave to the development of the choir,” he added. 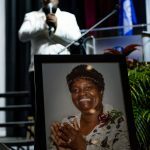 In her own tribute to her mother, Carlissa Wright-Waters singled out her mother’s faithfulness and commitment to her calling. “If she were here tonight I believe that she would say despite it all, despite the loss and grief that many of us still feel and are working through, her God has been faithful and is still faithful to each of us. She would encourage us to press on; not to give up and to allow God to use us to our maximum potential. Life brings unexpected turns, but just like the ebb and flow of a wave or the crescendos and decrescendos of a beautiful piece of music, God’s faithfulness sees us through the rhythms of life,” she shared. Mrs. Dean Wright was one of the foremost champions of the performing arts and art education at UB and its antecedent, the College of The Bahamas. She was also a loyal and passionate philanthropist who helped to raise funding for the development of the Oakes Field Campus. As the institution was transitioning to University status, she composed a hymn for the occasion, now the official University hymn, which will be sung on special occasions. At the conclusion of the memorial concert, Mr. Carlton Wright spoke fondly of the love of his life. “She was someone that I loved, cherished and appreciated. She was my wife, my lover, my friend, my confidant and mother of my children and unselfishly gave of herself to make this country that we love so well a better place,” he said. Mrs. Dean-Wright’s long-time friend and colleague, UB Provost Dr. Linda Davis called her one of the pillars of the institution. “Audrey was the life and voice of young teachers, her protégées. Bringing the magic of music to our every event, every occasion; she was an inspiration for us all. Vested in our transition to university status, Audrey organized many concerts to raise funds to assist the construction of the library and the refurbishment of this theatre, standing proud! To her colleagues and friends, Audrey was a dedicated and distinguished member of the academy who worked tirelessly for the advancement of the nation’s premier tertiary institution, its students and the nation as a whole,” she said. Mrs. Dean-Wright, who passed away in October 2018, left an indelible footprint on the Bahamian landscape. One of The Bahamas’ most prolific composers, she created over 250 original compositions. In 2005, South Carolina State University bestowed upon her the title “Composer Extraordinaire”. She was a choral director par excellence, serving in this role for a number of choirs including the College of The Bahamas and University of The Bahamas Concert Choirs, which have earned international recognition for their performances; the Bahamas National Children’s Choir, the Nassau Renaissance Singers and the Seventh-Day Adventist Meistersingers. 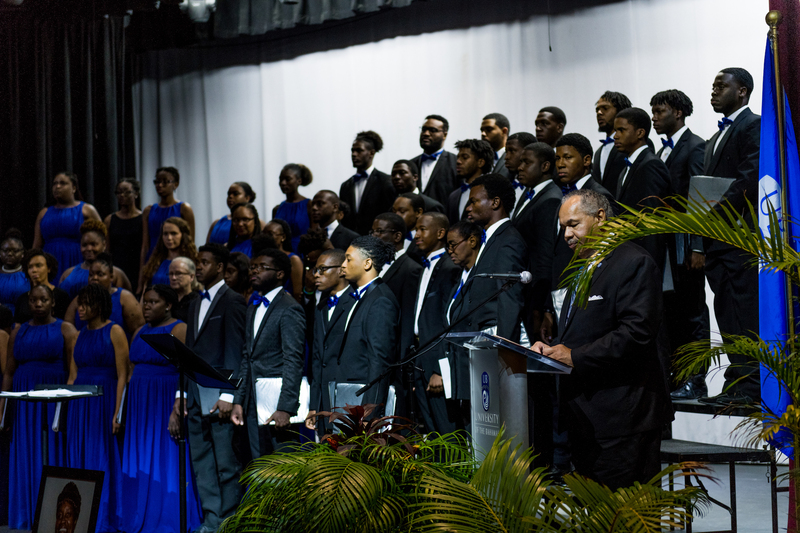 At the memorial concert, the audience delighted in the array of performances which included the UB Concert Choir & Alumni; Rashad Cunningham and Dr. Trent Davis; Dion Cunningham; JoAnn Deveaux Callender and Lee Callender; Christian Justilien and Paul Jones; Voices of Paradise and a number of poems written by Mrs. Dean Wright. Chartered on 10th November 2016, University of The Bahamas (UB) is a beacon for national transformation. Approximately 5,000 students are enrolled in the University of The Bahamas system which includes campuses and centres on New Providence, Grand Bahama, San Salvador and Abaco, as well as UB online education. UB’s diverse academic programmes, research engagements, athletics and leadership development experiences equip our students to become global citizens in a dynamic world. For more information, visit www.ub.edu.bs.